Is it possible to export all questions and choices into Excel sheet? 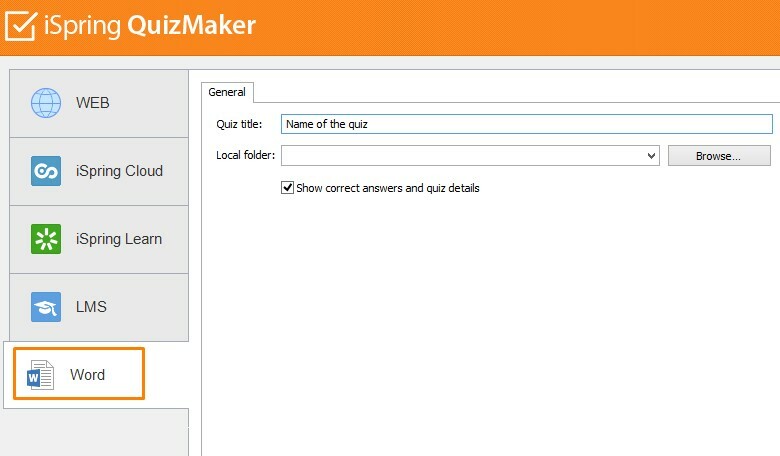 iSpring QuizMaker allows you to export all questions only into the MS Word file. Thanks for the update, I am aware that can be exported into Word, but I need "export into excel" option, Since I need to write all question into my website, from word document it will be very difficult to write. Please let me know, is there any way to get all questions into excel sheet. As I mentioned before, iSpring QuizMaker can't export quizzes to an Excel file. However, you can manually copy the information to an Excel spreadsheet. If this feature is very important for you, please fill in the feature request form and send it to support@ispringsolutions.com. We'll be happy to pass it on to our Product Development team.